Archeoastronomy is the study of the beliefs and practices concerning astronomy that existed in ancient and prehistoric civilizations. The meanings of the sky vary from culture to culture. The sun, moon and stars above mattered to our ancient ancestors. The universe above seemed a predictable and ordered model to structure their civilization on. In today’s society, heavenly cycles such as the lunar phases, the equinox and solstice all go by unnoticed. What mattered to our ancient ancestors matters less in modern society as lives are less connected to the environment and natural cycles. 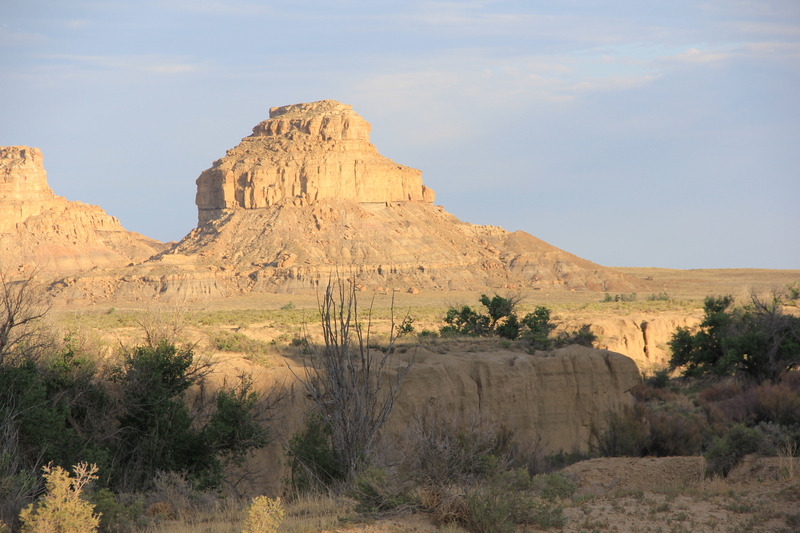 In Chaco Canyon, New Mexico there is a monument to archeoastronomy; high on Fajada Butte is the Sun Dagger. 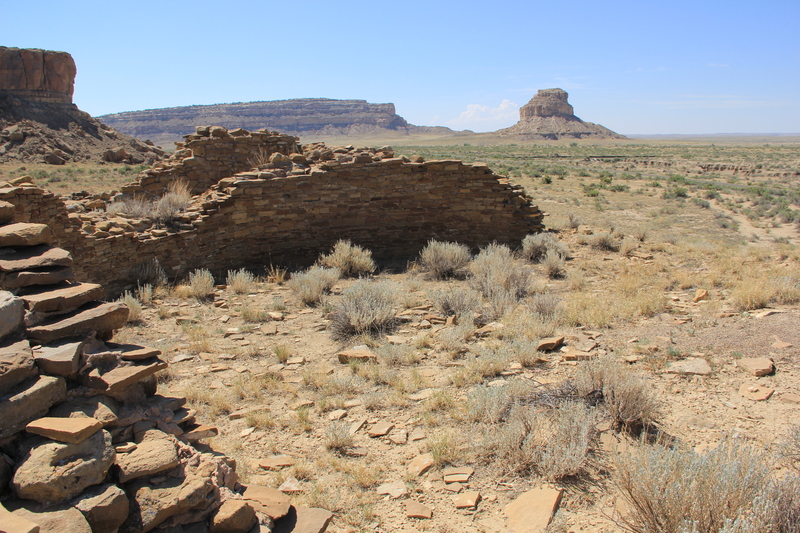 Nine hundred years ago Chaco canyon was the center of a hub for trade and administration for 75 surrounding pueblos and settlements. Radiating out from Chaco like a compass were 400 roads, some as long as 250 miles. While many details of this culture’s origin and lifestyle are unclear, the record of their history stands in the incredible architecture and their knowledge of the celestial sky. 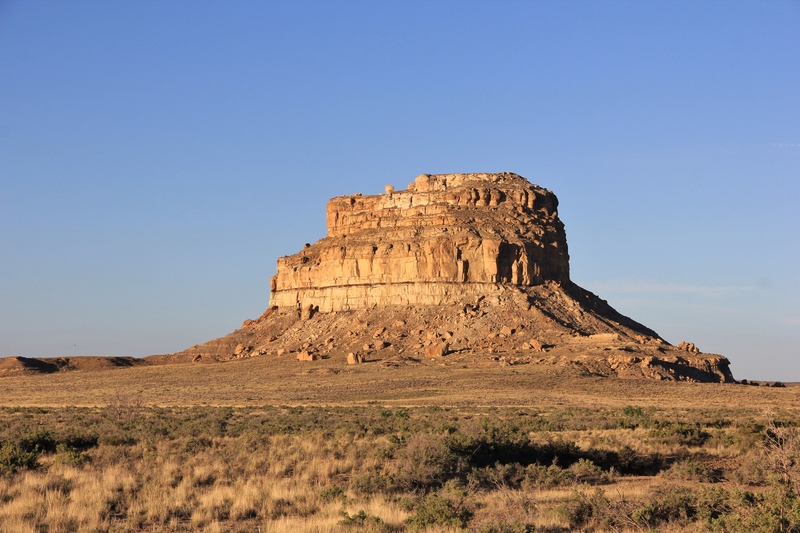 Fajada Butte is a large promontory located in the southeast area of Chaco Canyon. The main items of interest to archeoastronomy are three stone slabs located on a ledge approximately 40 ft from the top of the butte. Estimated to weigh about 4 tons, the stone slabs measure 6~10 feet high and about three feet wide, from 8 to 20 inches thick. On the cliff face directly behind the stones are two spiral petrogylphs. In 1977 Anna Sofaer, an artist, visited Chaco Canyon as a volunteer recording rock art. While there she was recording petroglyphs on Fajada Butte. On her first visit, she noted the three stone slabs leaning against the cliff in front of two spiral petroglyphs on the cliff wall. On her second visit, she happened to be at the site around 11 a.m. and witnessed a dagger of light bisecting one of the spirals. An amazing stroke of luck since the dagger only appears for about 18 minutes each day. Realizing that the summer solstice was imminent, she correctly recognized the site as an important archaeoastronomical site. All over the world ancient peoples have studied the position of the stars in the night sky; the movement of the sun across the horizon throughout the year; the movement of the moon across the horizon on its eighteen-nineteen year cycle. Knowledge of these cycles helped the ancients to know when to plant their crops, or migrate, celebrate their religious holidays, and many other important events during the year. To ensure the correct dates for rituals and monitoring the return of the growing season a calendar with some degree of accuracy would have been necessary. Atop Fajada Butte Chacoan skywatchers had just such a celestial calendar. 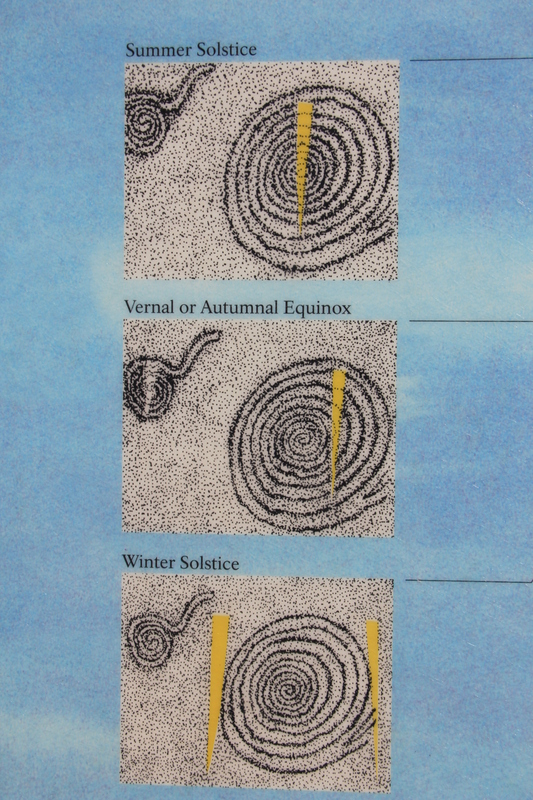 Sunlight passed between three boulder slabs onto a spiral petrogylph to mark the sun’s position on the summer solstice, winter solstice and the equinoxes. It is now called the Sun Dagger site. 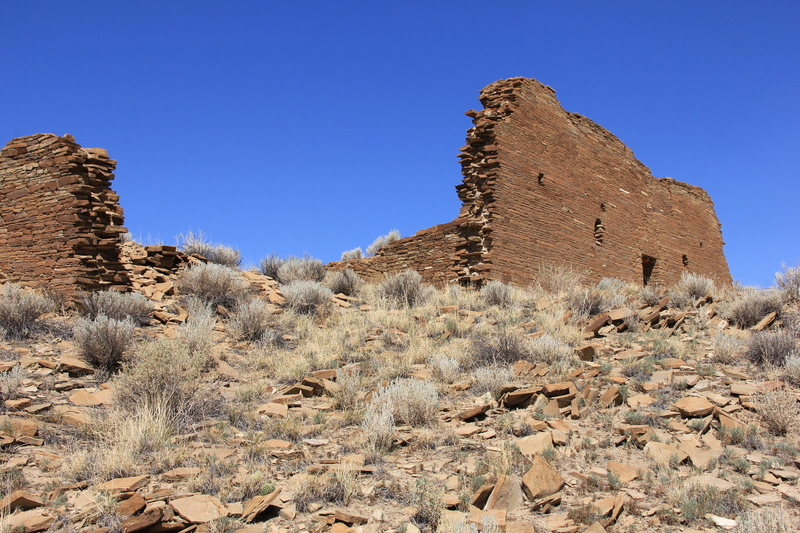 In 1978, the year following her discovery Anna Sofaer founded the “Solstice Project” to focus on the study, documentation and preservation of the Sun Dagger site. Her team learned as the summer sun attains its solstice midday peak, filtered through the slabs a dagger of sunlight descends through the exact center of the large spiral. For the vernal and autumnal equinox two daggers appear. A smaller dagger bisects a smaller spiral through its center, whereas a larger dagger pierces the larger spiral off center. Then for the winter solstice, two large daggers embrace the sides of the larger spiral like bookends. Even more remarkable, it was observed that there is a slab-cast lunar shadow whose edge strikes in succession each segment of the larger spiral marking the 19 year movement of the moon from minimum to maximum across the horizon. As the full “minimum moon” closest to the winter solstice rises, the shadow’s edge precisely strikes the center of the larger spiral; it steps outward year by year, ring by ring, until it strikes the outermost edge of the spiral during the full “maximum moon”, again in mid-winter. Chacoan architects and builders expressed their knowledge of an order to the universe in the way they aligned their settlements and roads. The Great Houses of Pueblo Bonito and Chetro Ketl were found by the “Solstice Project” and the U. S. National Geodetic Survey to be sited along a precisely east-west line, an axis that captures the passage of the equinox sun. Pueblo Alto and Tsin Kletsin are also north-south aligned. When viewed from above the axis extends past Pueblo Alto for another 35 miles on the ramrod straight “Great North Road” a pilgrimage route. The great kiva of Casa Rinconada also has a precise alignment. The circular kiva has a 33 ft radius with twin entrance portals on the north-south axis and there are two opposing windows on the east-west axis which are within 4 inches of the bisecting center point. The Sun Dagger is only one example of an ancient observatory. Many have built observatories, marking the position of the Sun on summer and winter solstices. Through the centuries, people of all cultures have been curious about the Sun and have wanted to better understand and explain how it affects life on Earth. 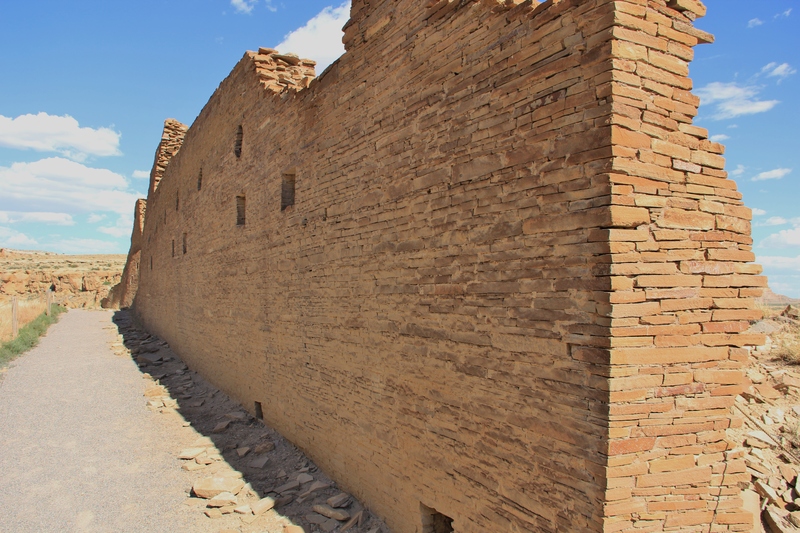 The celestial knowledge that existed in Chacoan Culture helped them make choices concerning planting crops, keeping track of time and seasons and an order for architects and builders to follow. Unfortunately the legends, myths and stories to explain their observations of the Sun have been lost to time. 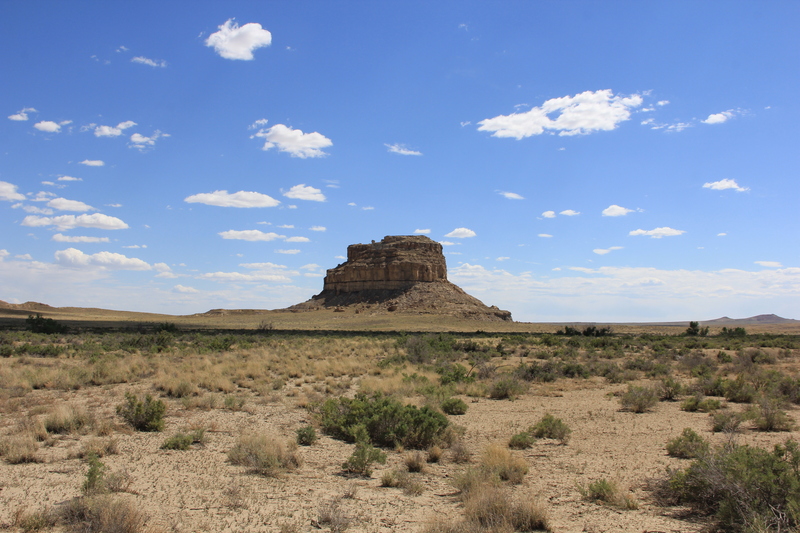 Chaco Canyon still draws astronomers for another reason – its exceptionally dark night sky. 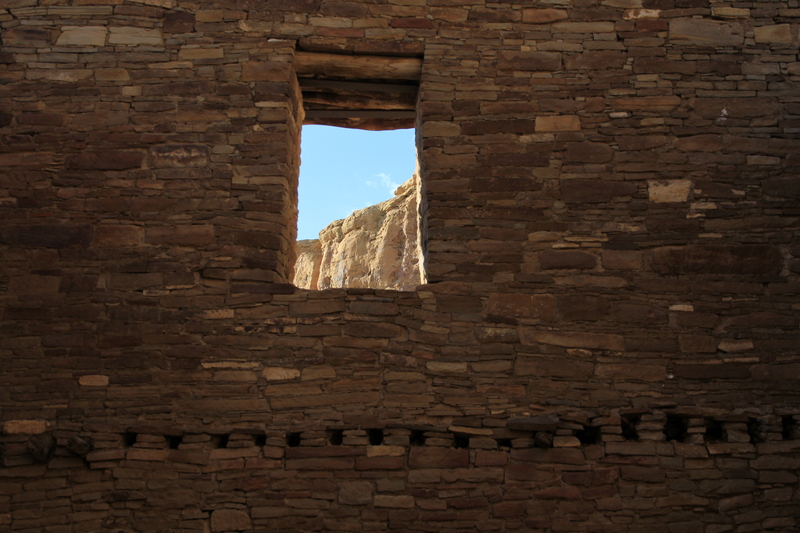 Its remote location away from city lights makes Chaco Canyon’s nighttime sky resplendent with stars and other features that are rarely visible elsewhere. Chaco Canyon is the only National Park with its own observatory, where visitors can look upon the same star-studded skies that the ancients did one thousand years ago. This entry was posted in earth, environment, Fire, the hungry brain and tagged Culture, New Mexico, photography, science, seasons. Bookmark the permalink.